January 24, 2018, Phoenix, Ariz. – Many companies with older ERP systems are feeling the pressure from a younger, more technically savvy workforce and from the increasingly competitive foodservice landscape to move to a newer and more robust software solution. As the requirements in the industry grow more complex, a company’s software can provide an advantage over its competition, allowing them to get product out the door more quickly and more efficiently, using analytical tools to plan for future trends. AFS ERP is optimized to take advantage of Windows Server 2016 and SQL Server 2016. In addition, it is certified on all major Windows workstation applications from Windows XP through Windows 10. There were no more concerns about trying to maintain old servers or about having to purchase older, sometimes unsupported, Windows licenses for workstations. One major advantage of the AFS ERP solution was the SQL reporting capabilities. Operators with SQL knowledge may easily create queries to mine useful information. In addition, AFS ERP features more than 100 standard reports that are all fully exportable into Excel, which allows easy access to the company’s key data for further analytical action. These standard reports are written in Crystal Reporting so the company can leverage their staff again to modify those reports to show exactly what they needed without having to pay customization charges. These streamlined means of accessing data have allowed Watsonville to eliminate some of their home-grown reporting tools that would be difficult to support long-term. With AFS ERP, the deals and rebates modules are included in the base package for no additional charge. Previously, these had been separate programs with FoodDISTRIBUTE. These modules are much more robust in ERP and have many standard deal options. Watsonville now has the ability to construct more creative commission structures to motivate their sales staff. The standard capabilities within AFS ERP will allow them to set these commissions up, improve the time for invoicing, and make credit management easier. In addition to having a solution that Watsonville knew would exceed all their current business needs, they also had the confidence that if their business grew or changed, they were working with a partner who had other solutions already integrated with the core AFS ERP product. Whether it was adding a warehouse management system, order management system, or electronic proof of delivery system, AFS was already an industry leader in those areas and had interfaces built to easily integrate with their core ERP product. One of AFS’ big advantages is that it was already familiar with the Watsonville business operations from their long-term partnership. This knowledge made migrating to a new ERP platform much easier, as everyone involved was working for the same company, making it easier to translate nuances of the Watsonville operations to the implementation staff. 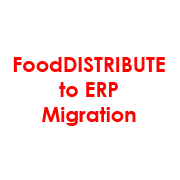 Another advantage to going forward with the AFS solution was that since the same company controls both ERP and FoodDISTRIBUTE, there are already standard exports and imports built into the applications, enabling data conversion without the need to hire an outside data migration specialist. The majority of the key data from FoodDISTRIBUTE may be moved easily into AFS ERP with little manipulation. All of this migration would be managed by AFS’ experienced team of project managers and business consultants with decades of industry experience and a track record of getting customers live on the system quickly. The team recently completed its fiscal year by closing out 50 implementation projects — nearly one per week. Based on these factors, Watsonville made the decision to continue their partnership with AFS and to implement the ERP product. The migration was a success, and Watsonville is seeing the advantages of going to the AFS ERP product.